What is Behind China’s Top-Ranked Fundamentals? 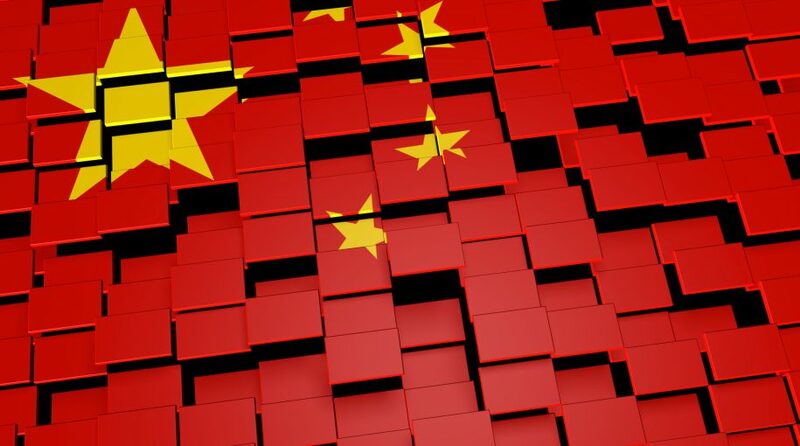 You are at:Home»ETF Strategist Channel»What is Behind China’s Top-Ranked Fundamentals? Is Trade War the “New Normal”? Trailing Sales Growth and Expected Earnings Growth in China is significantly higher than the average country. China’s fundamental strength is supported by a continuation of the powerful top-down initiative for urbanization within China, and an ongoing innovation boom within China’s software and e-commerce companies. In essence, the top-down macro initiatives for China are synergistically re-enforcing the investment opportunity for China’s software & e-commerce companies. China possesses the strongest fundamentals within the Accuvest Global Core Equity 35 country universe. China earns this ranking with a combination of strong historical revenue growth and high projected earnings growth. More so than any other individual factor, China stands out with very high Long-Term (3-5 years) Expected EPS Growth and very strong Long Term (3-5 years) Historical Sales per Share Growth. These fundamental data points truly distinguish China from the crowd. China’s Long-Term (3-5 years) Expected EPS Growth of 23.08% is 3.2 z-scores higher than the universe and compares favorably to the country universe arithmetic mean of 11.5%. China’s Long Term Historical Sales per Share Growth of 18.9% is 3.7 z-scores higher that the universe and compares favorably to the country universe arithmetic mean of 3.9%. By comparison, the next two highest fundamental z-scores (from any country) are Spain’s Leading Economic Indicators (+2.6 z-scores) and Denmark’s Return on Equity (+2.4 z-scores). What has driving such outsized sales growth and expected earnings growth? 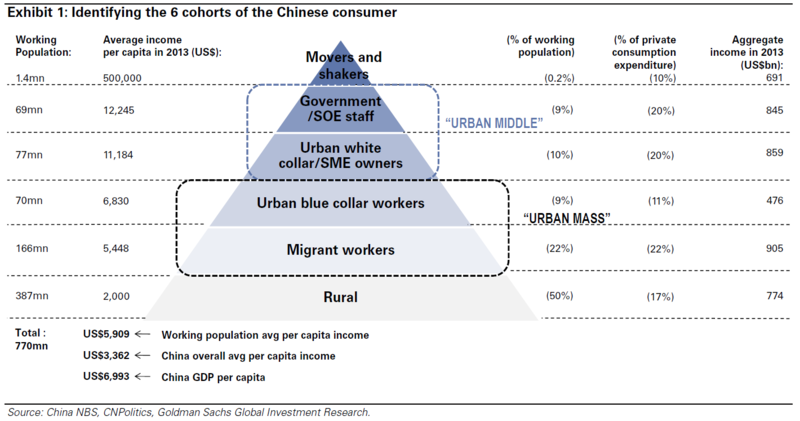 China’s blue collar, migrant, and rural workers represent 81% of China’s working population, yet only account for 50% of China’s private consumption (Chart 1). This “chort” of 620 million workers are the focus of China’s urbanization and consumption initatives. As the incomes of this group grow, their consumption preferences will shift, creating disruption and industry level opportunities for sales growth and market share. Globally, higher incomes have been associated with shifting spending preferences within six areas: looks, food, home, connectivity, fun, and well-being. In China, there appears to be an opportunity for more spending on “fun”, entailing more vacations, more entertainment, and more eating out (Chart 2). 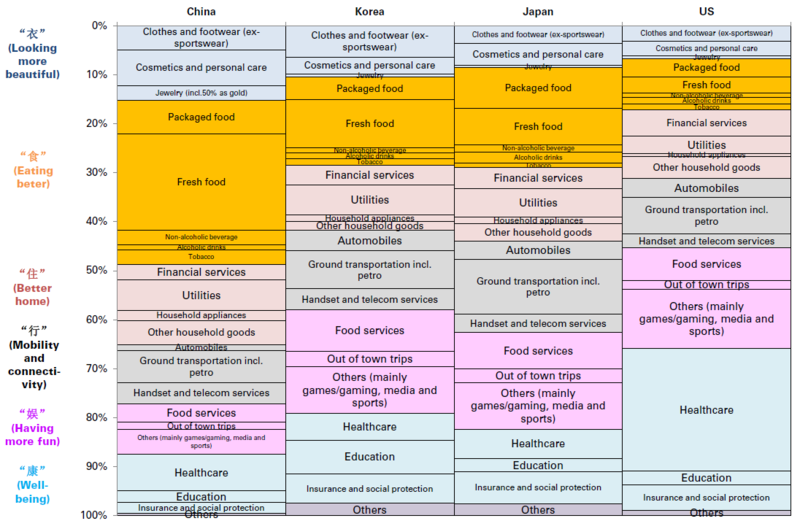 Relative to China, countries like South Korea, Japan, and the United States spend a larger portion of incomes on “having fun” and spend a smaller portion of incomes on food. The consumption breakdown above points to an opportunity set “in-play” for many emerging markets. Large emerging countries, like India and Indonesia, also exhibit mostly rural and migrant labor forces with spending preferences tilted towards food, clothing, and shelter. The combination of comprehensive mobile internet access, low car ownership, underdevelopment of physical retail and the availability of cheap unbranded products on-line, as well as, cheap shipping costs, set the stage for explosive growth in e-commerce transactions and meaningful shifts in consumption patterns. The Bottom-Up Story: China Has FAANGs! In the context of meaningful macro-economic reform, the MSCI China Index has morphed to address the “mobile entertainment & e-commerce” opportunity. The technology sector weight in The MSCI China Index has increased from 6.1% in 2012 to 41% in 2018 (Chart 3), while the Software & Service industry group, led by Tencent, has increased from 4.6% in 2012 to 38.2% in 2018 (Chart 4).